Decay (Touch): Plague's diseased touch can rust metal, rot wood, crumble rock, and decay skin. Plague and her brother Blank are Japanese, and from a samurai clan, they were kidnapped from their nursery by Ra's al Ghul. 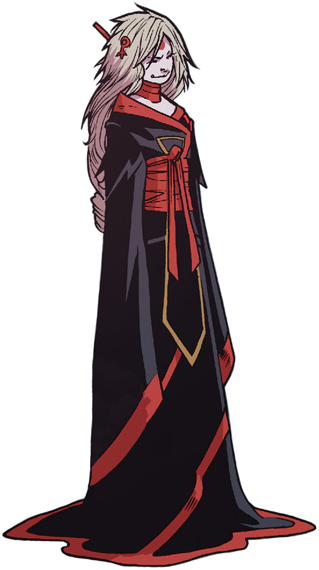 Given her codename, Plague, she endured years of brain washing and study under Ra's al Ghul at the Black Citadel on Infinity Island, to become the most elite of the League of assassins, the Demon's Fist. Before graduating she was required to kill a target, she chose Raven of the Teen Titans.